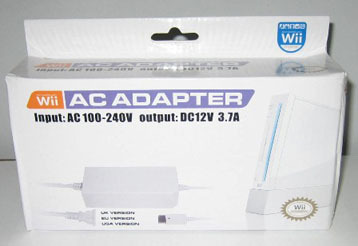 Brand new 3rd party power adapter for Nintendo Wii. Input 100-240V (comes with standard US/Canada 2 prong 110v plug). Output DC 12V 3.7A.